woodCock are amazing upland birds That little is known of, on the east coast. They give hunters the most unique ShoTs. 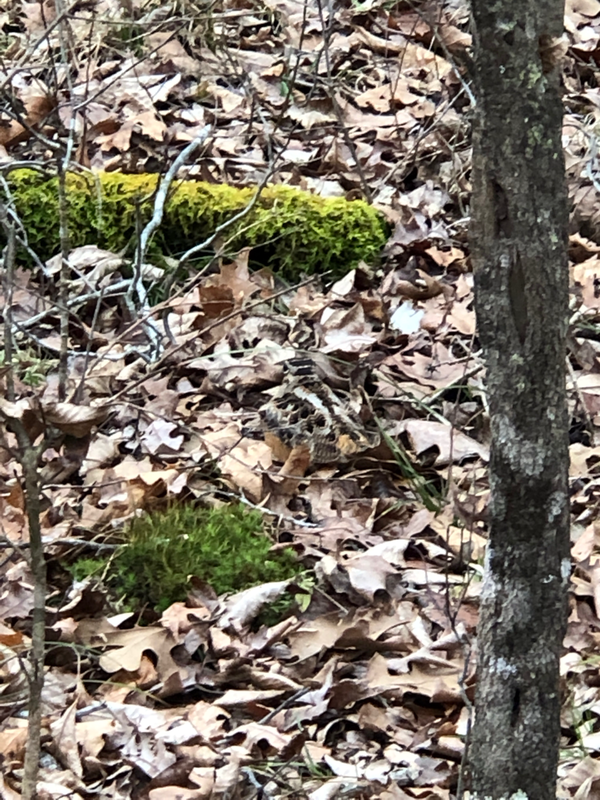 This is the seCond time this year we have been able to see the woodcock the dogs were Pointing and take photos of this wonderful camoflaged migratory bird. 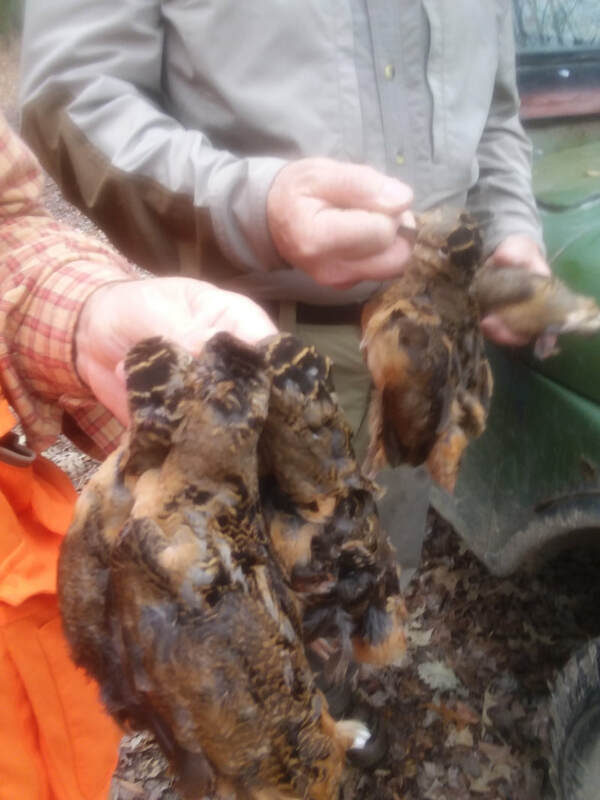 This year, 2018, per my journals i was blessed to flush 144 woodcock and we took 29 over my dogs while I was blessed to personally harvest 14. 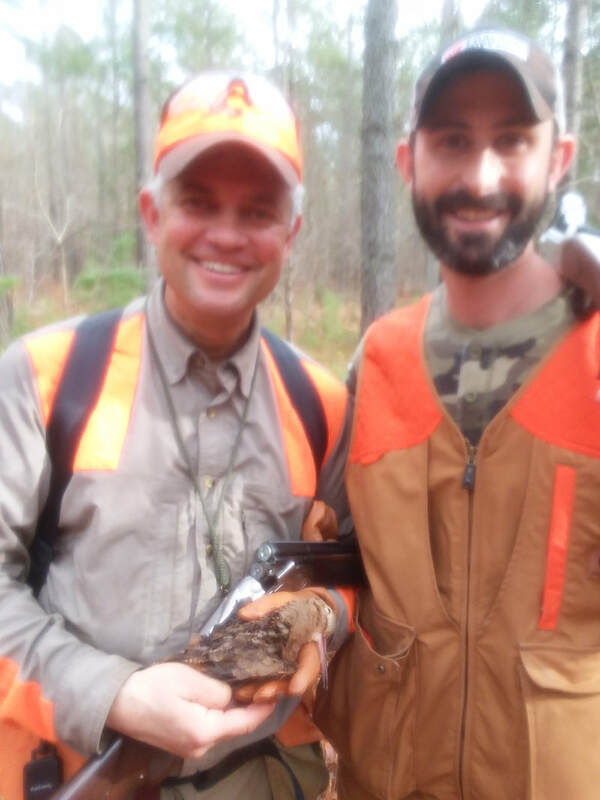 My good friend Robb moore harvested his first two wild game birds and both were woodcock. Justin Madron another good friend harvested his first woodcock and I harvested my first virginia woodcock. James River Chapter RGS Woodcock Camp December 2108 near Richmond Virginia. 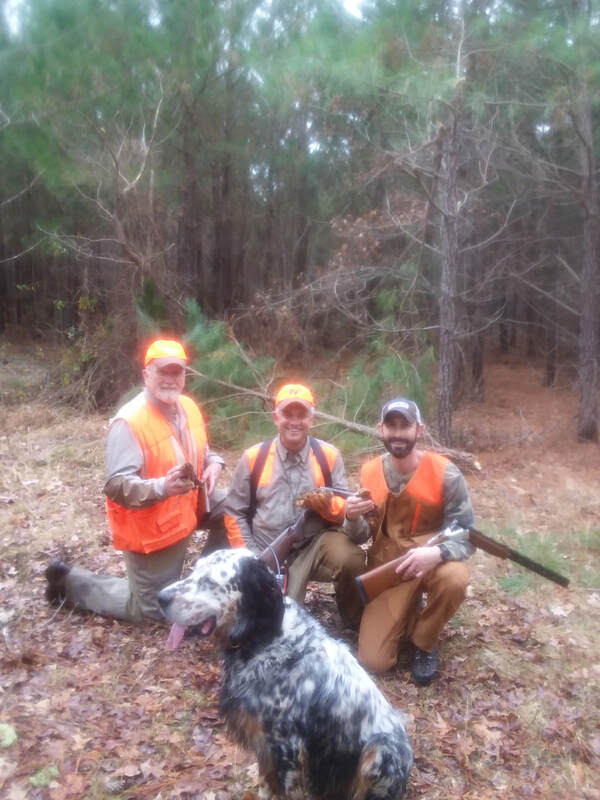 First wild bird harvested for my good friend Robb Moore (@A Man and His Bird Dog). First woodcock for Justin Madron @jmadronwvu. 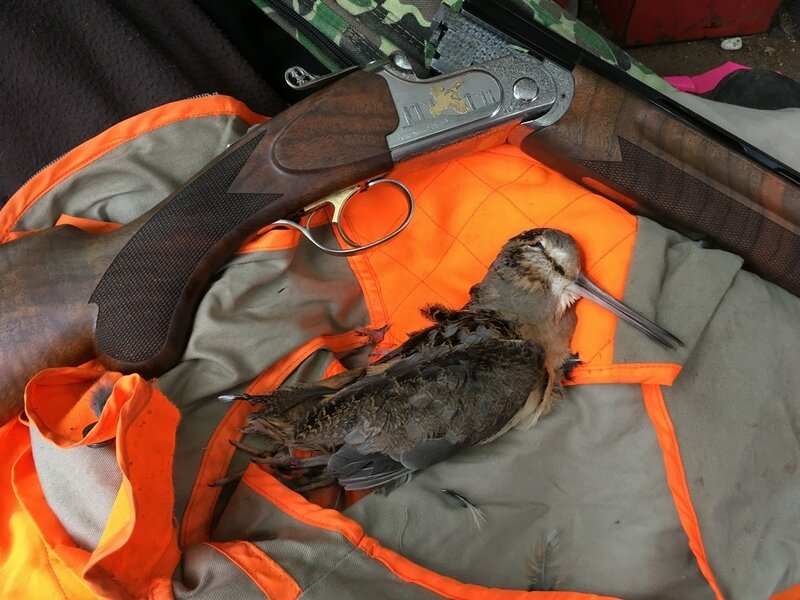 My first Virginia woodcock. I could not be happier to have such good friends. Special thanks to Darrel Feasel President of the local chapter and who organized the event. 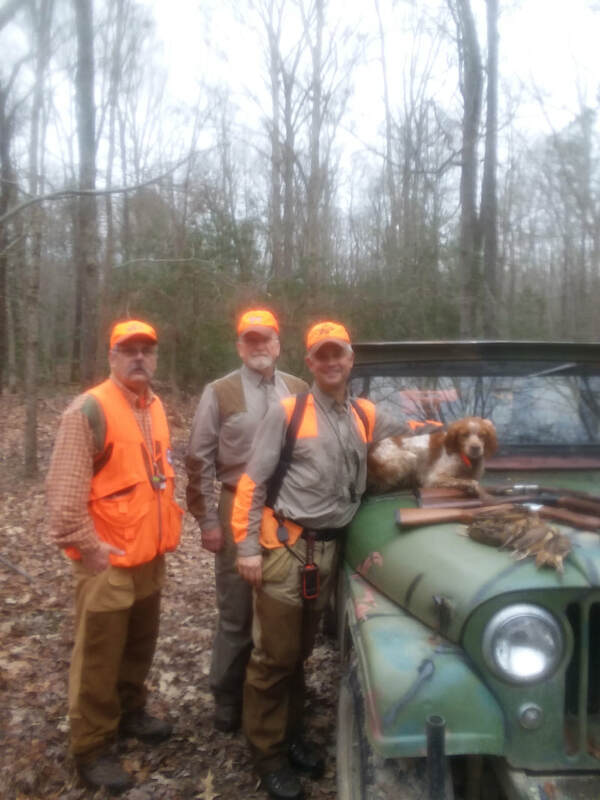 Woodcock Hunting in Virginia new years day 2018. We flushed 20 woodcock and kona pointed 13 of them. The furthest away he found one was 139 yards from us and he held until we approached and flushed the bird. Many people say they want a close working dog. 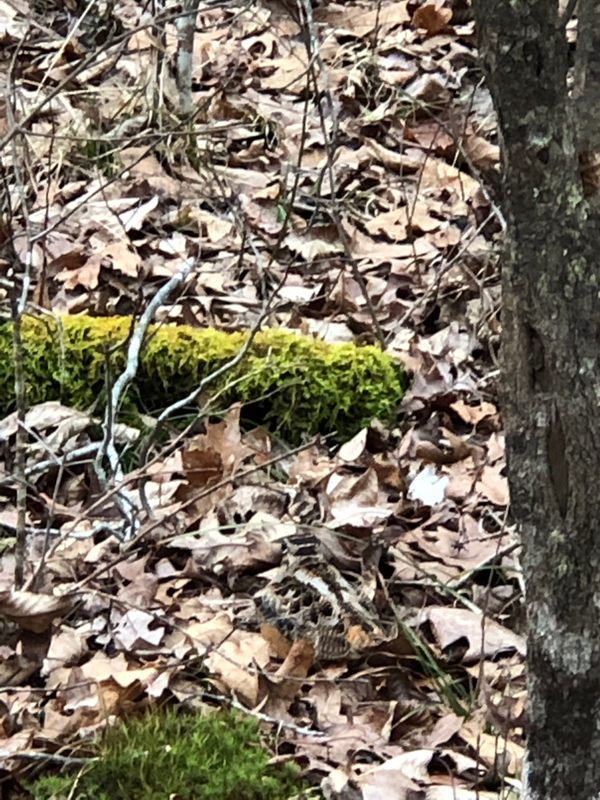 For a french brittany in woodcock woods, I want a dog working within 200 yards of me and finding lots of birds, that will hold until i arrive! 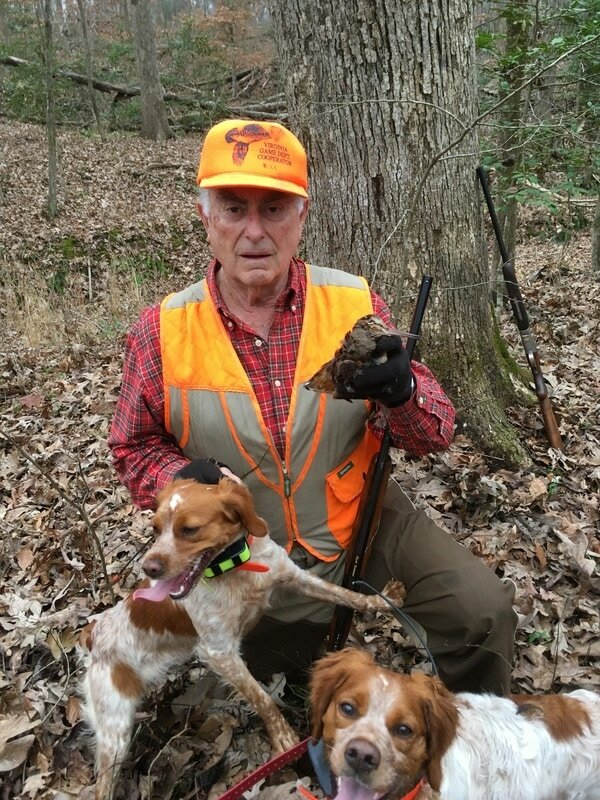 Woodcock hunting on Darrrel Feasel's land in Charles County Viriginia New Years Day 2018. Pictured: Darrel Feasel, Bruce Beiderman, Chip Hidinger, Kona old Willy Jeep with Kona and a mess of woodcock. Justin Madron, Bruce, Chip, Kona above and to the left Justin's mammoth woodcock. 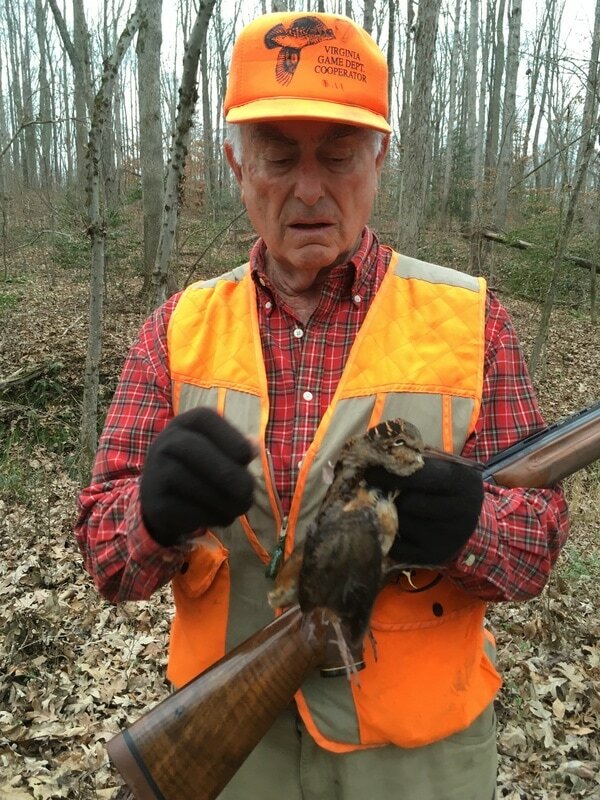 Darrel Feasel with a nice woodcock. 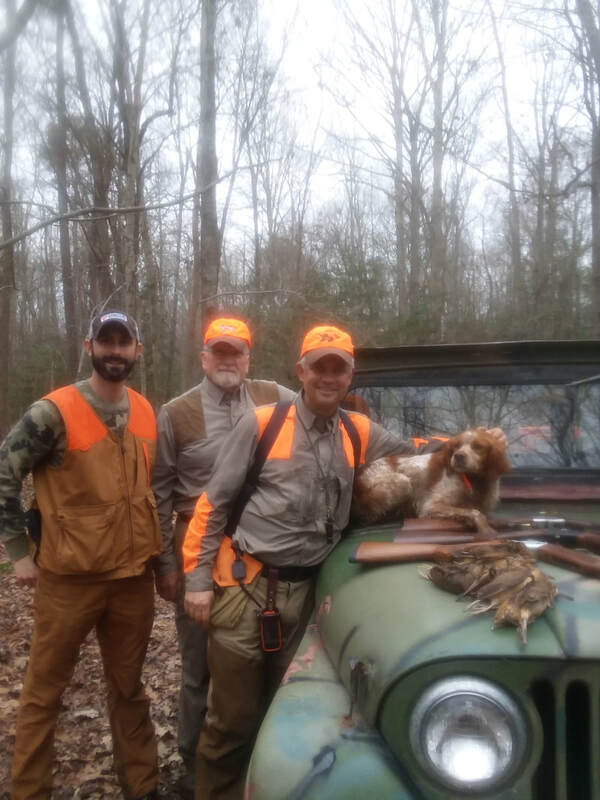 Bruce Beiderman, Chip Hidinger, Justin Madron and beautiful Elhew Setter with a woodcock each. Chip and Justin with a Kona pointed, Skylar backed woodcock in the tight pine tree's that we could barely see and I got a super lucky through the thick pine tree's! 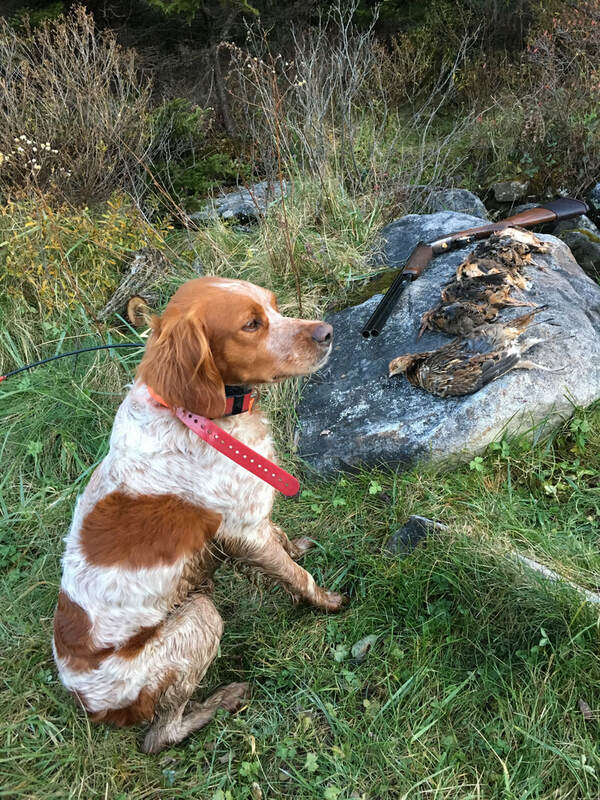 Kona with a limit of woodcock and a ruffed grouse in west virginia fall of 2018. We flushed 36 birds one day and 40 birds the next day and i had to leave at 2pm to be at dinner in richmond for Erica's 15th birthday. 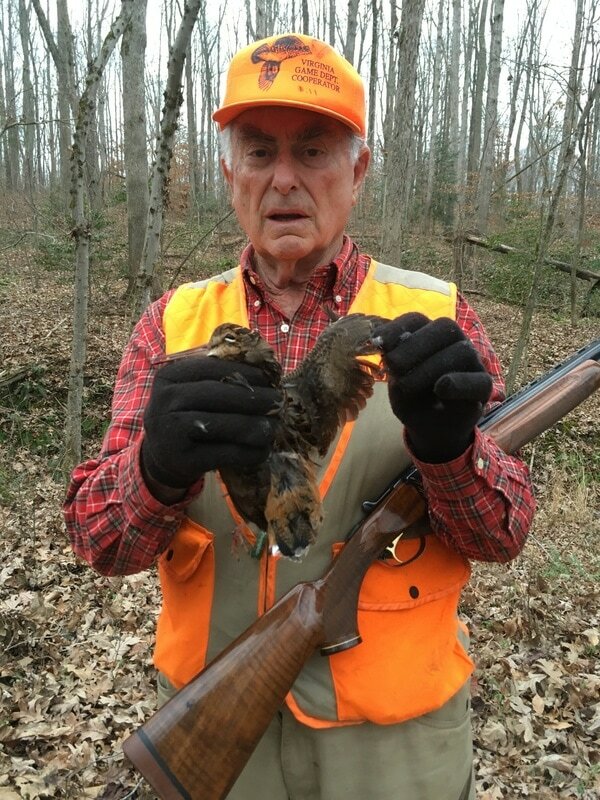 Woodcock hunting with Bill Heindel in Powhatan Virginia in early 2017. Dogs are Kona and Skylar.